One of the most overlooked parts of any roadside is the historical marker. People drive past them every day without ever taking the time to stop and read them and you may not even realize how many you pass in a single day. This website, the Historical Marker Database, helps you to identify their location and their significance. You can locate markers by category, by state/province, and even by country. If you want to find markers in your area, then go to this site. If you want to know the history behind the markers then this is the site for you. 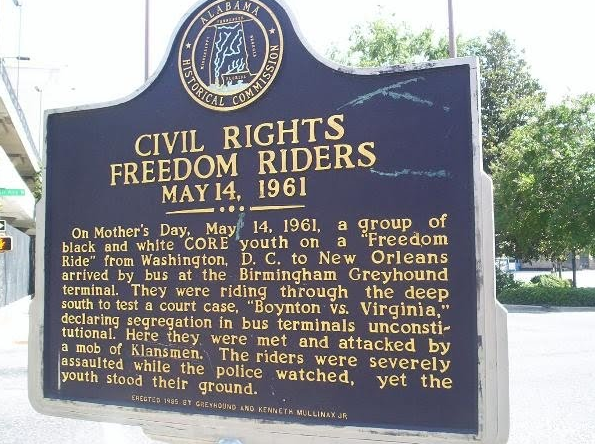 A project idea could be to have students locate, photograph, and write about the historical markers in their town using the Historical Marker Database. 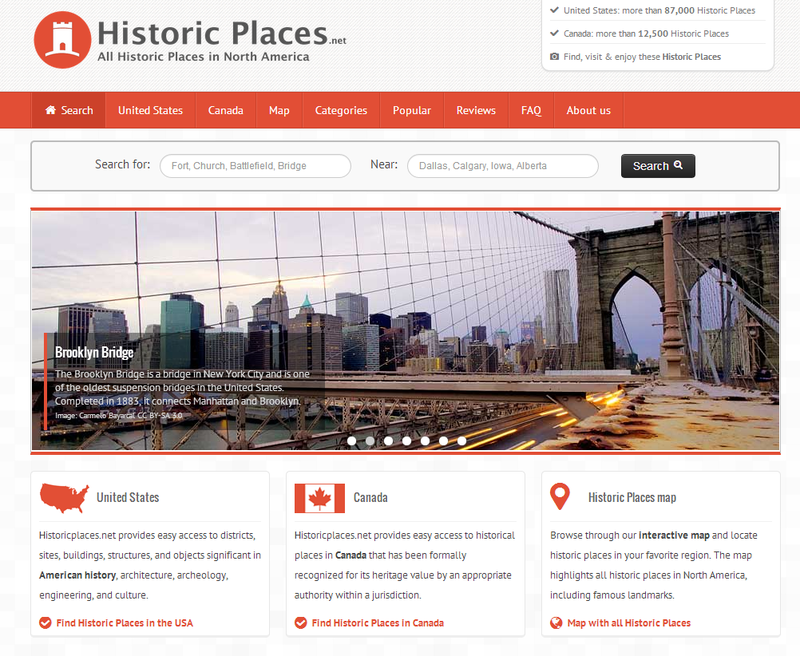 Historic Places is a new website that provides the location of over 100,000 historic structures throughout North America. Unlike the Historic Marker Database, this site's focus is on buildings, battlefields, archaeological sites, ships, and statues. You can navigate the site by event, by location, by category, or use their interactive map. The site is still new so a few of their features may still be under construction. Historic Places is a great tool for discovering the history near where you live or when you are planning a vacation. History Pin is an online collection of photographs, videos, audio files, and text that have been shared by people from around the world. Their tag line is "a global community collaborating around history." Users can post their documents or search a map to find things in their area or search by collection, channel, and project. One of my favorite features is their tours and collections section which contains documents all centered around specific topics or events.History Pin is a great resource for educators as well as anyone who loves history.